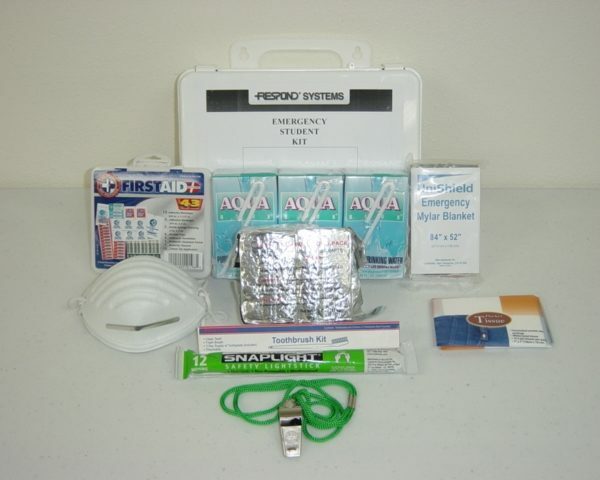 Contains the necessary items a classroom should have in the event of a lockdown or disaster. Kit comes in a 5 gallon bucket with toilet seat lid (standard). Contains basic food, water, and shelter supplies for one person/student for 3 days. Contains basic food, water and shelter supplies for one person/student for 3 days. 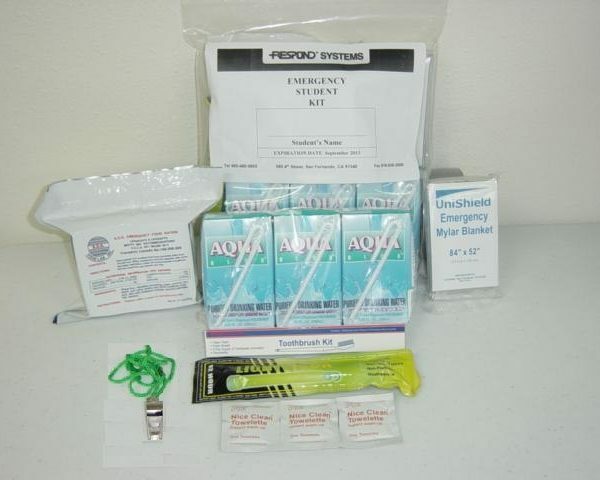 Student Lunchbox Emergency Kit for 3 days supplies including food, water, blanket and other emergency supplies. Disaster Kits for 2 person in a durable and easy to carry Backpack specially designed for teachers including food, water, blankets and other emergecny supplies.